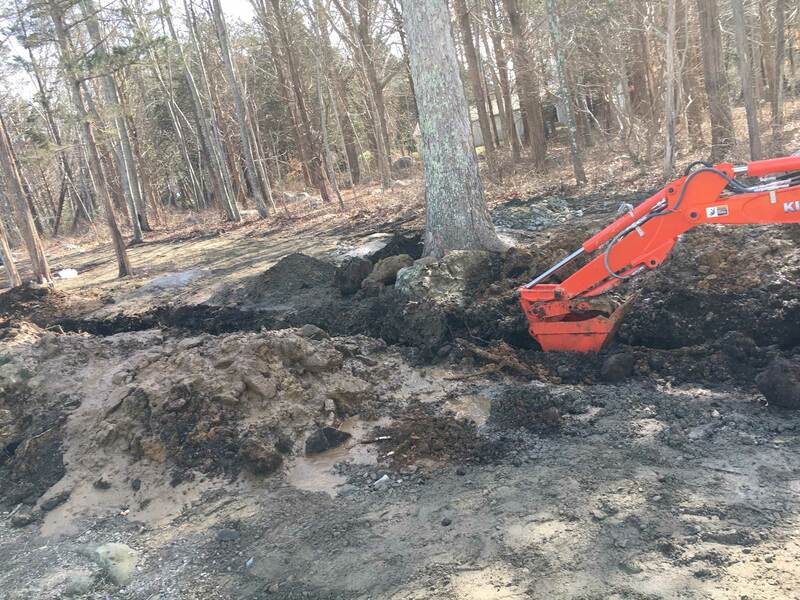 Ellinwood Landscaping not only provides landscaping and lawn care services for Southeastern Connecticut but also Southern Rhode Island. 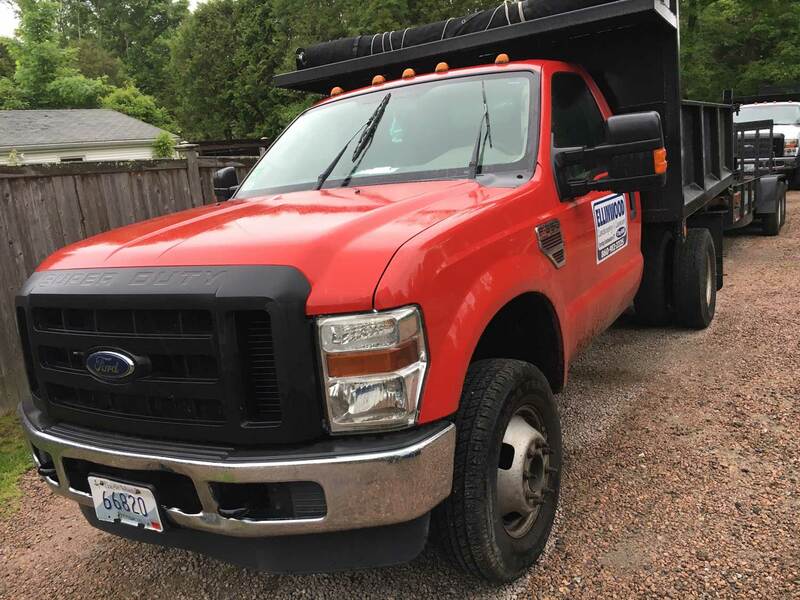 Licensed and insured, Ellinwood Landscaping has dedicated and advanced trained employees to satisfy all of our customer's needs. The Better Business Bureau has given the team at Ellinwood Landscaping an A+ rating. High-quality products in combination with our high-quality services. Our mission is to satisfy our customer’s needs and establish long-term relationships with our customers. 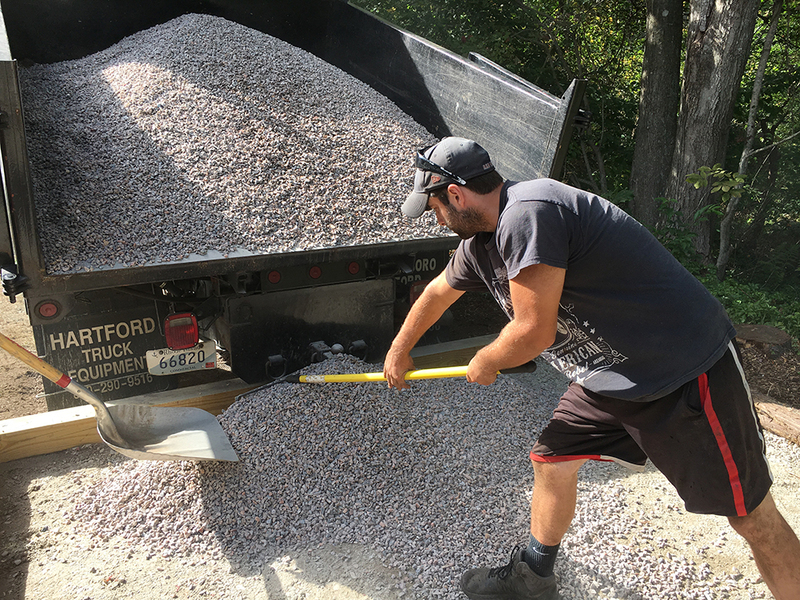 If your property needs some TLC or you’re simply looking for a change, Ellinwood Landscaping can help with any project, of any size. This includes rebuilding retaining walls, expanding garden space, replacing plants and bushes, or restoring bare patches of grass. 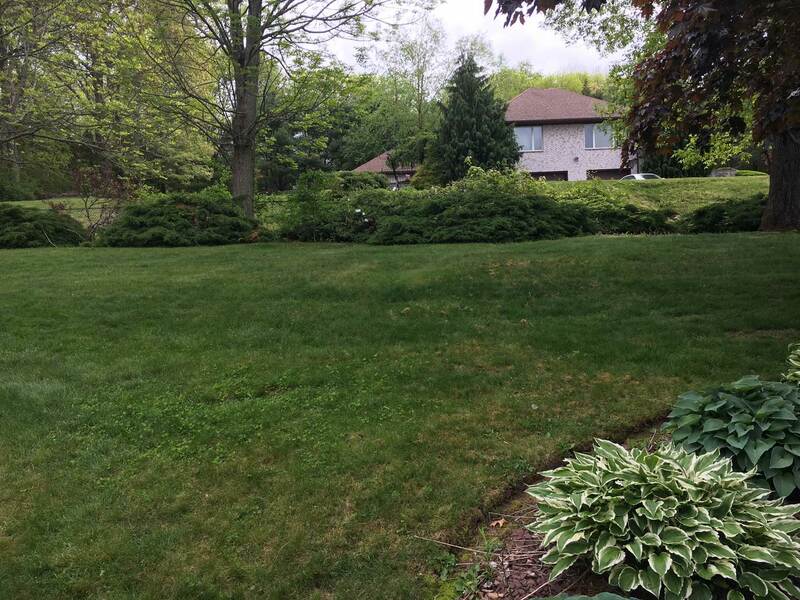 Let our team install your lawn for your new home or replace your old, worn out grass. 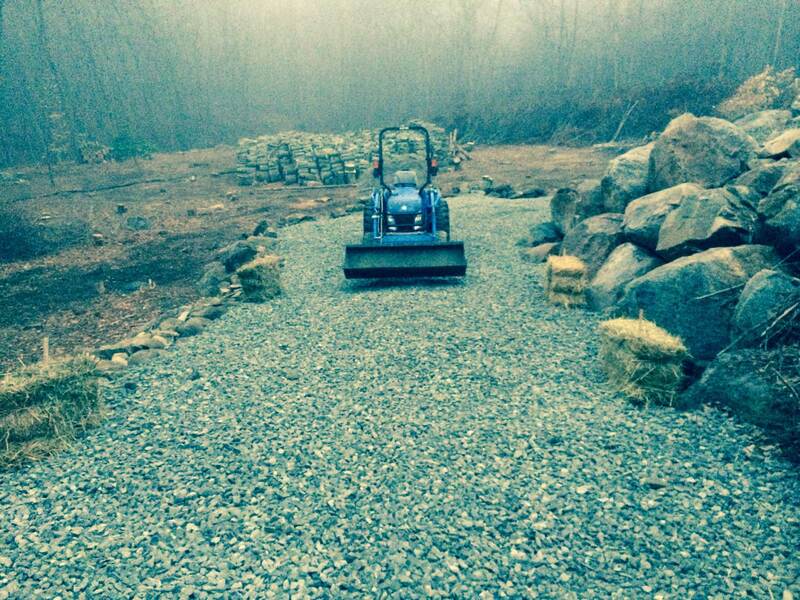 We will lay seed, mulch, sod and plant any bushes or trees you want. Ellinwood Landscaping will help make your yard a sight to see! It’s important to prune trees and bushes to keep them looking symmetrical, avoid overgrowth, prevent storm damage, and promote optimal health of the plant. Our landscaping team prunes branches and leaves that are in the way or no longer growing, and the process is quick and easy. 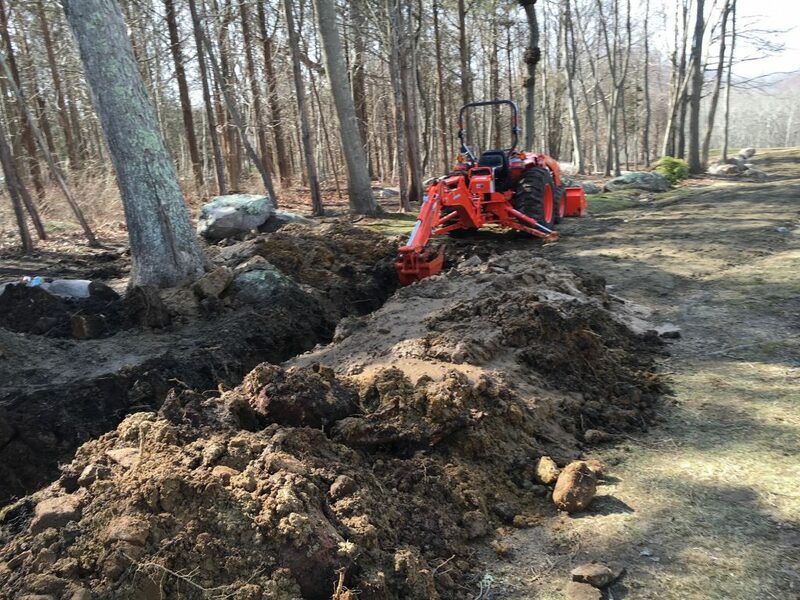 These transitional seasons can leave a mess in your yard or around your business. 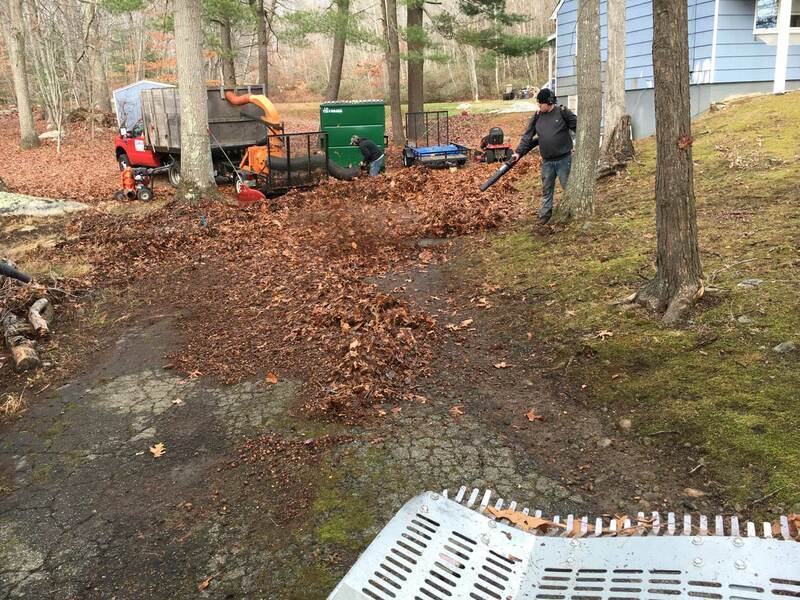 Our landscapers clean up seeds, weeds, mud, puddles, and debris in the spring and remove leaves, twigs, dead plants, and dirt in the fall. 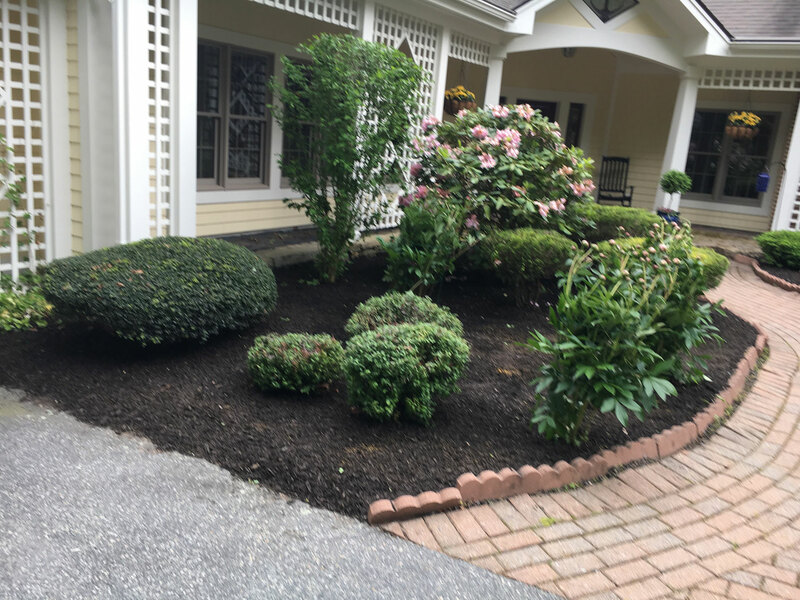 We also prepare your yard and garden for summer by uncovering perennial plants and watering them, and for winter by covering plants and other methods of winterizing your yard and garden. 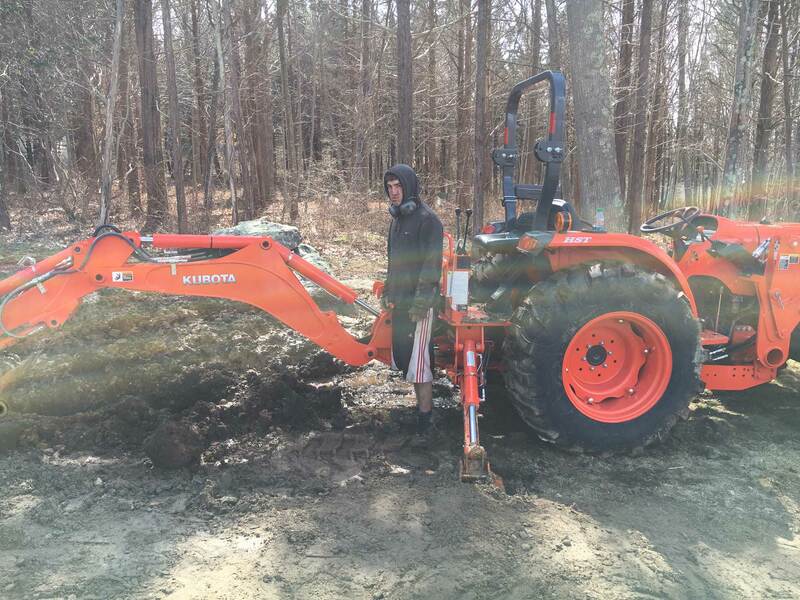 Our staff is fully trained in working a backhoe for the toughest of jobs. 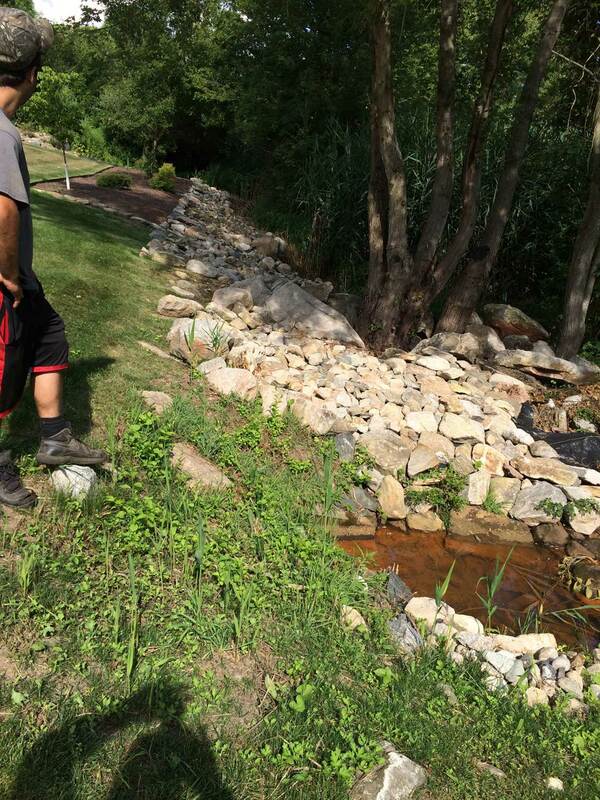 We offer all types of landscaping services, including planting trees, planting bushes, flowers, and other plants, trimming and watering plants, and installing landscape structures such as retaining walls, garden paths, woodchips, flower beds, and much more. 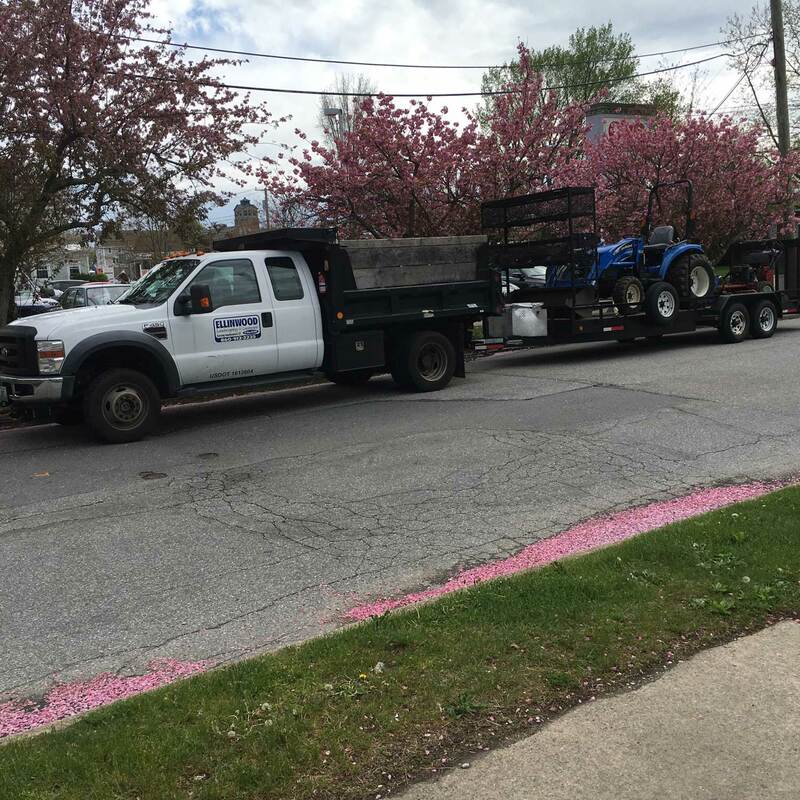 Everything from trees in your yard to grass and flowers needs fertilizing to ensure optimal growth. We lay the best quality fertilizers for the landscape features in your yard. The best time to do this is in the late spring to nurture your plants for the growing season. Choose from different types of fertilizer and avoid harsh chemicals you might find with lower quality fertilizing products. Ellinwood Landscaping clears land for new business and home construction. 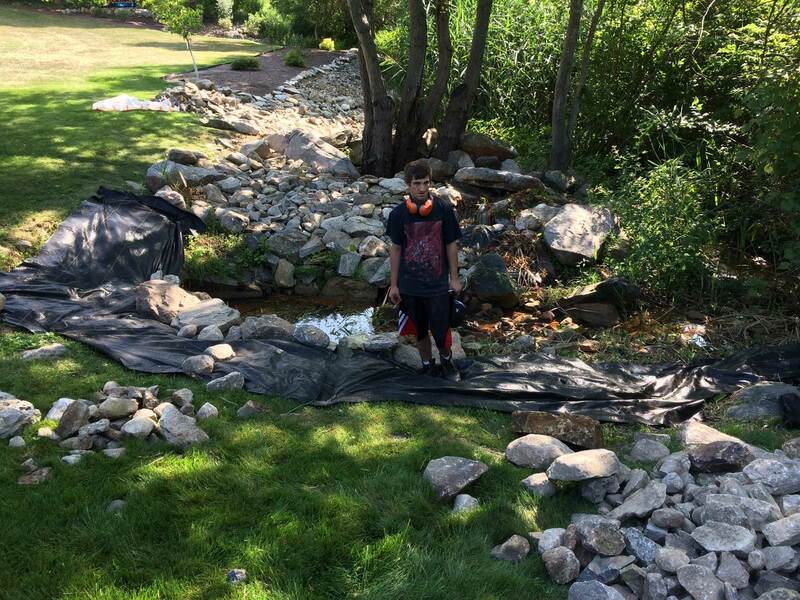 We remove trees, brush, and weeds, clear out grass where concrete needs to be put in, remove large rocks, and anything else needed to prepare your land for building. We clean up completely and can customize this service to meet the needs of the customer, preserving as much nature and greenery as possible. 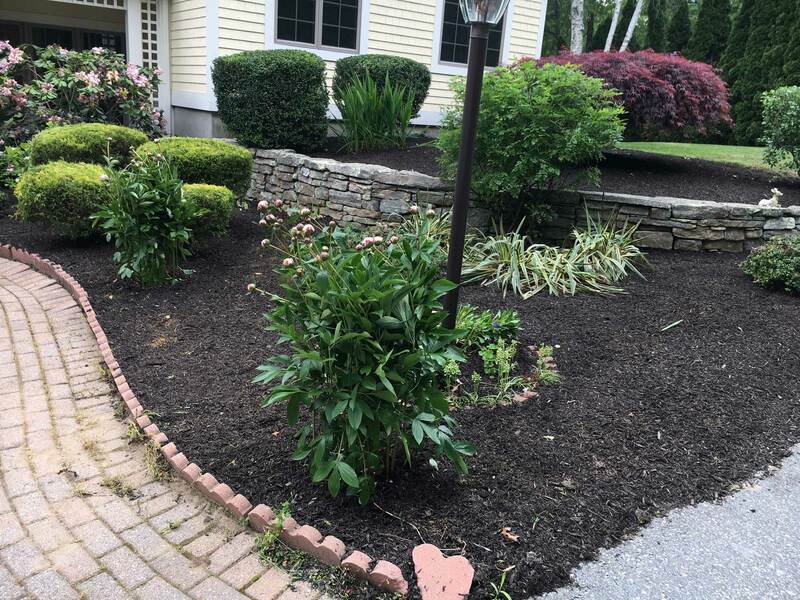 Call (860) 912-2225 or fill out the form below for expert landscaping in Connecticut and Rhode Island. Let Ellinwood Landscaping create the lawn of your dreams.